If you have all your favorite media files stored in iTunes library, especially when you have a rich library, it will be hard for you to extract files from it. You may want to extract files from iTunes library to iPhone without data loss, but iTunes doesn’t allow it. At that time, you should need the help of iTunes library extractor which makes your life much easier. Top 3 iTunes Library Extractors Recommended! 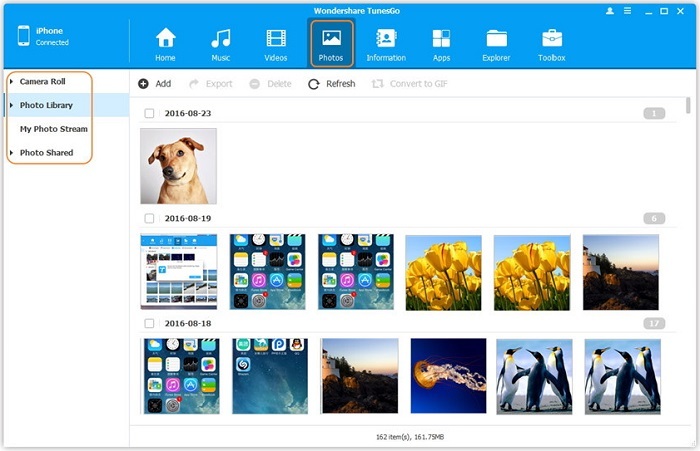 iMyFone TunesMate is a great program that helps to manage your iTunes and iPhone library the way you want. It protect all your data from being lost while you manage or transfer. It works great as an iTunes extract to extract files from iTunes to computer, and also as an iTunes rebuilder to enrich your iTunes library from unlimited iDevices. It rebuilds your iTunes library from unlimited devices even in different Apple IDs. 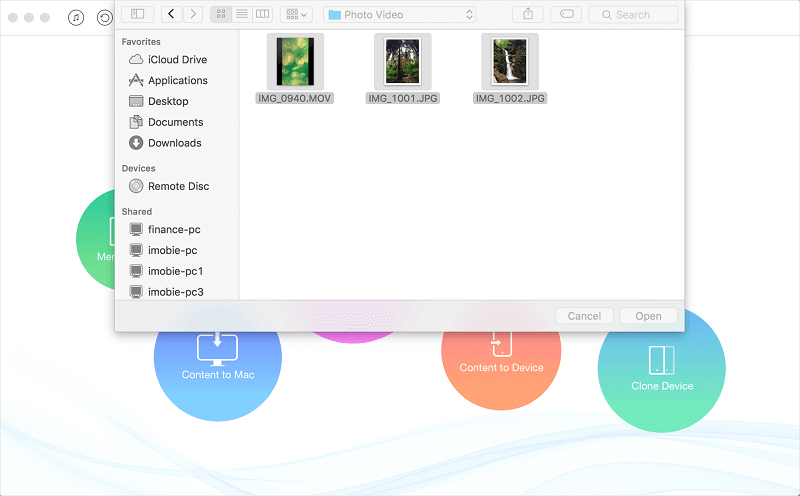 It also extract media files from iPhone so you can share with friends’ devices. It supports both purchased and non-purchased files when extracting or transferring. The files that can be extracted from iTunes library are music, movies, playlists, iTunes U, podcasts, audiobooks, ringtones, music video and much more. 1. Connect: Connect the iPhone with USB to Computer and open TunesMate. 2. Scan: Tap Transfer iTunes Media to iPhone and let it starts. 3. Extract: After scanning, you can select the files you want to extract from iTunes library. 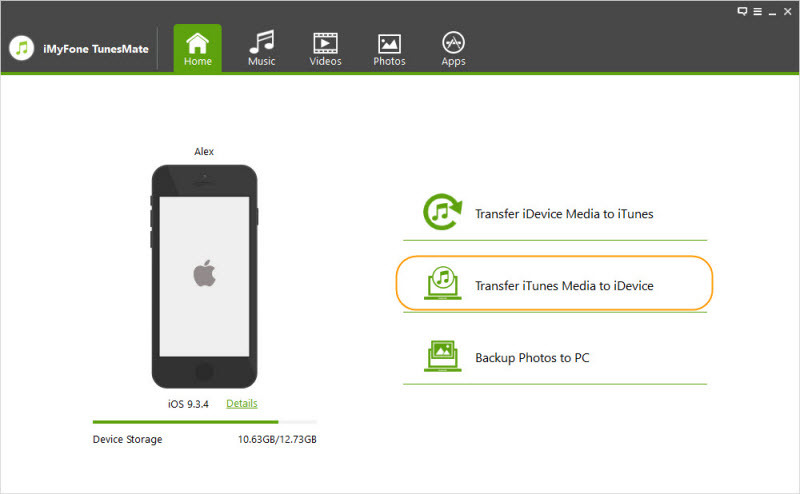 Click Transfer to let it extract files from iTunes to iPhone. iMyFone TunesMate was spoken highly of its users and also some professional software review sites, like getintopc.com, tricksworldzz.com, crunchytricks.com, etc. The AnyTrans iTunes extractor is great in the market as iDevice users use it for extracting the media files from the iTunes Library easily. It carefully backs up the data so during the transfer the users do not have to worry about the deletion of the data. It offers many extracting options that include adding the photos, songs, movies, videos, etc. This software is compatible with all the versions of the iOS devices. It extracts the iTunes library data within few clicks. It will manage the whole iTunes library and extract the needed things easily. 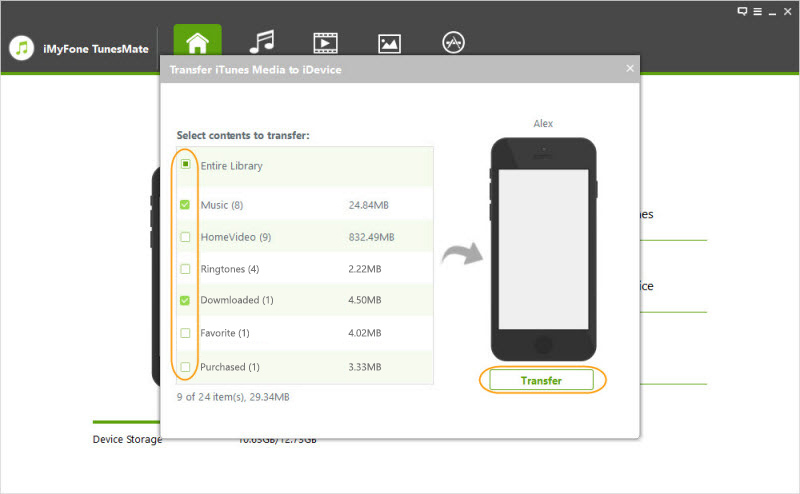 TunesGo is ultimate software to extract the media files from the iTunes library and successfully transferring it to computer or iDevice without burning any files. One can transfer the files without any hassle using the TunesGo. The only thing here worth noting is that the user cannot simply drag and drop the files. They have to use TunesGo to add the media files extracted from their iTunes to their iDevice or Computer. It helps in downloading all the purchased media files of the users. Even it helps in transferring the iTunes library from PC to the iDevices successfully. The TunesGo eases out the process of extracting the media files, and one does not have to follow numerous steps for extracting iTunes library.